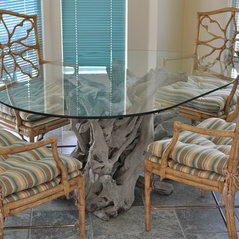 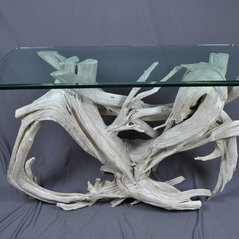 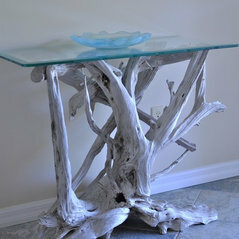 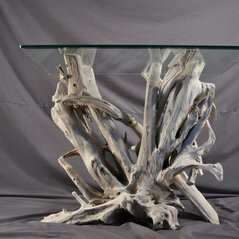 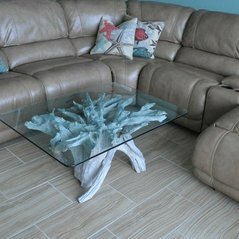 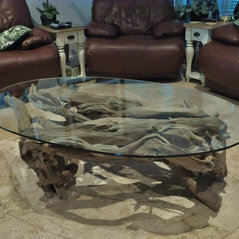 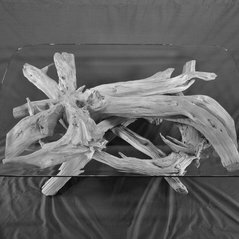 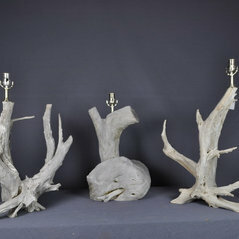 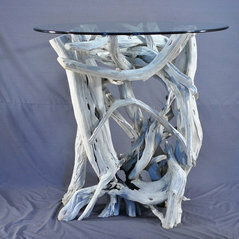 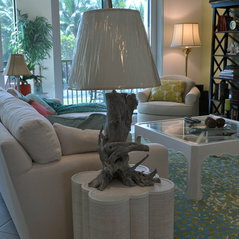 For the past 40 years have been designing & creating Florida driftwood & glass coffee tables, driftwood foyer tables, driftwood dining tables, driftwood table lamps & driftwood floor lamps. 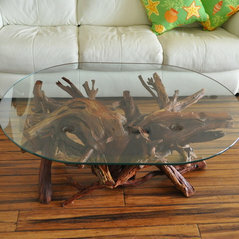 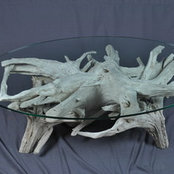 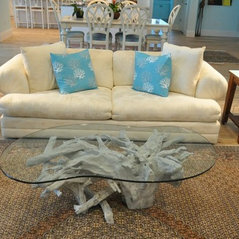 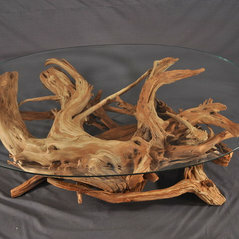 Also Calif. redwood burl coffee tables & Calif. buckeye tables. 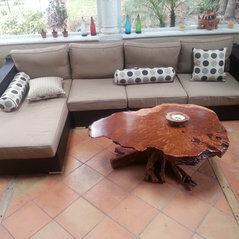 Commented: Coffee tableI'll be gone the 1st half of May, but other than that, I'm here most of the time. 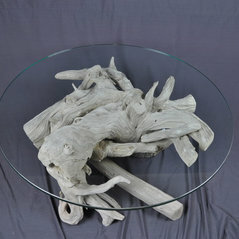 Commented: Size of tableThat table is the faded sandblasted finish. 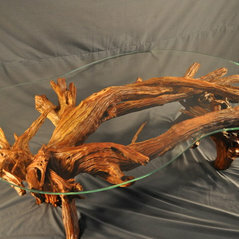 That would be a narrow oval but very possible with the right driftwood stump. 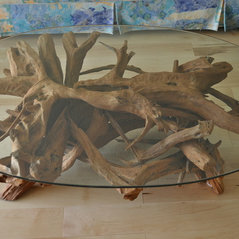 Commented: whats the price and dimensions?I sold that earlier in the year but I believe it was 32 x 45 x 17 high. 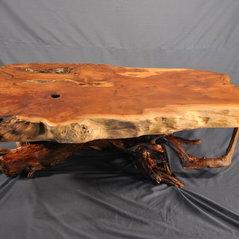 The price was $950.